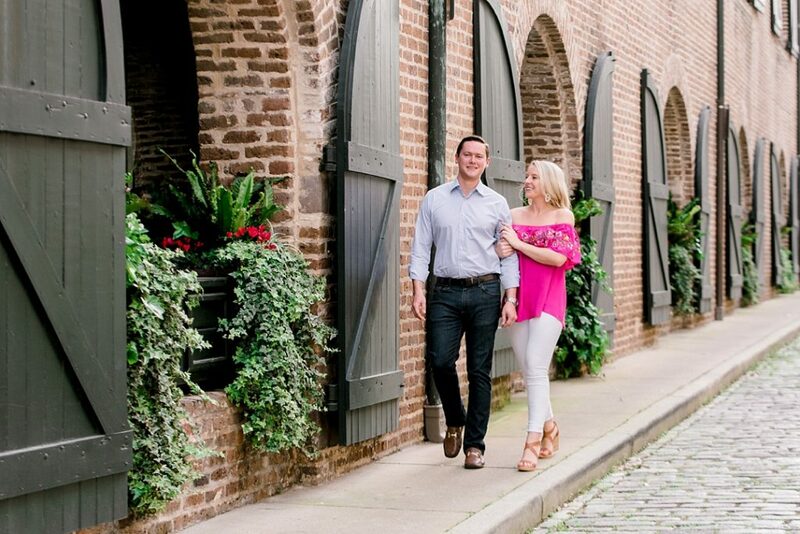 Historic Downtown Charleston has become a favorite tourist spot for good reason. 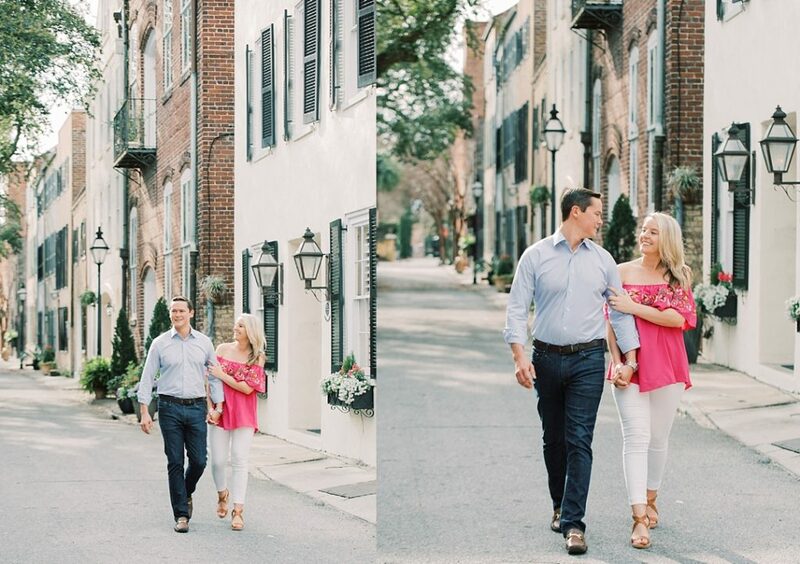 It is an absolutely gorgeous, charming city! 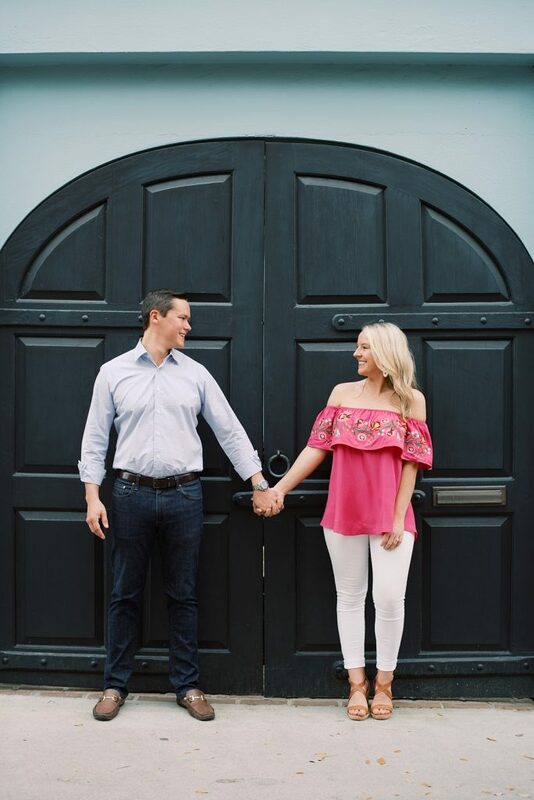 Ben and Emily have a lot of memories and special moments here, so there was no question about them having a Charleston engagement session. 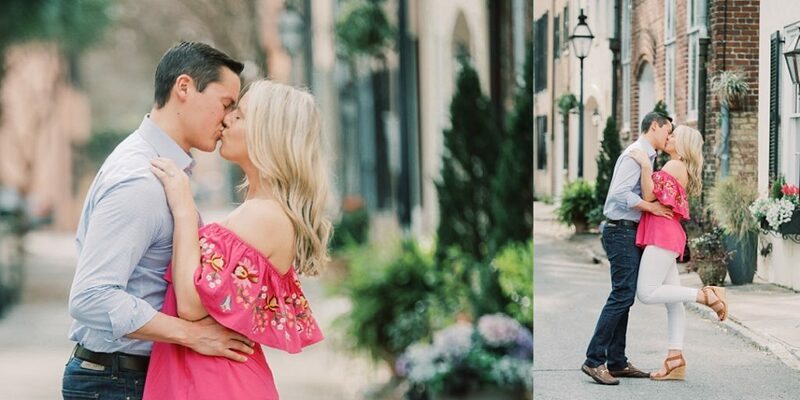 I’m convinced that light does something special near the SC coastline, and I’ve been practically drooling over these photos! 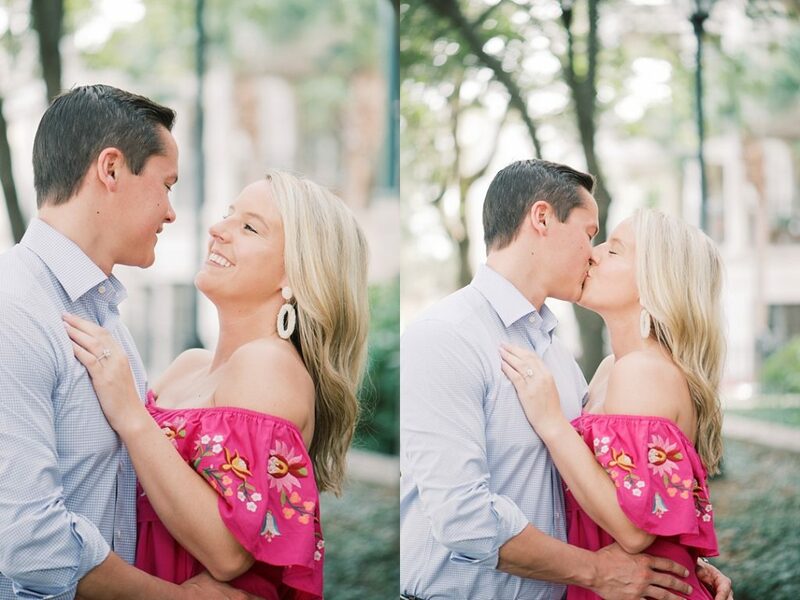 I was fortunate enough to meet Emily and Ben last year at a Great Gatsby-themed engagement party for another wedding couple of mine whose week-long wedding cruise I shot last summer, so I was super thrilled when these two booked me for their own wedding! 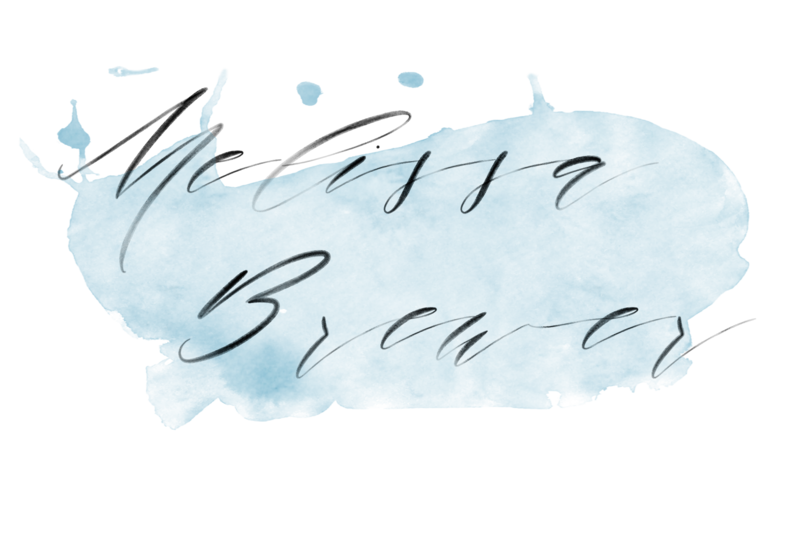 It means so much to me for someone to witness all the behind-the-scenes work and still know they enjoy working with me! 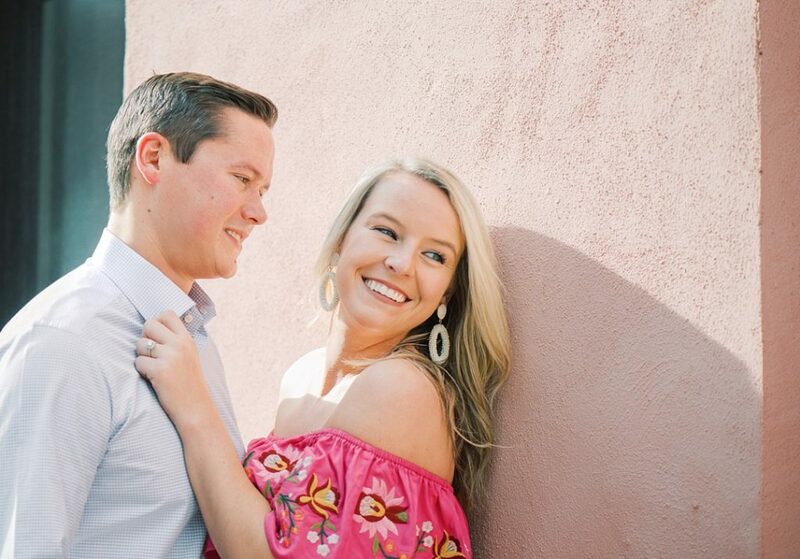 Ben and Emily met a couple of years ago, and they both say that it was practically love at first sight. 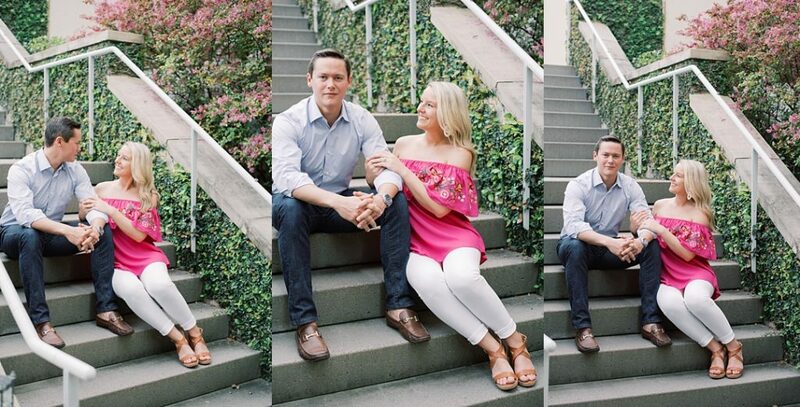 They knew they had found “the one” in each other within months of meeting, but they didn’t rush their engagement. 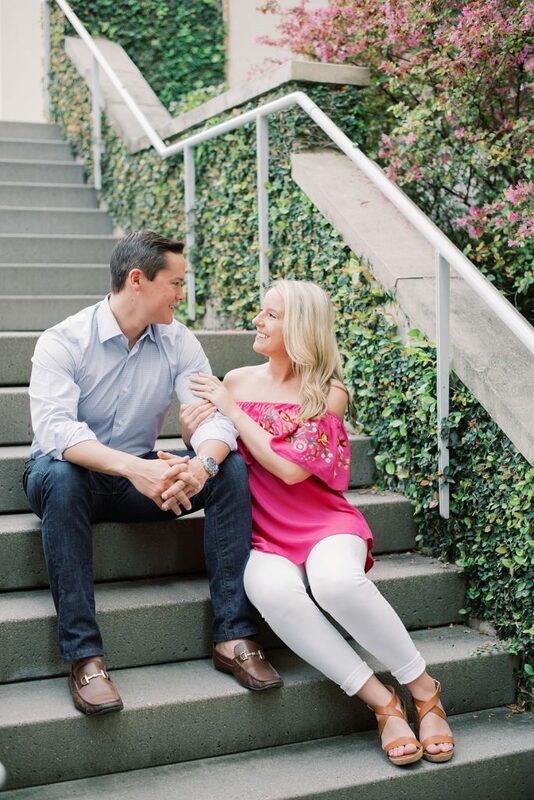 It wasn’t until last September when Ben took Emily to Paris on vacation that he popped the question, and of course, Emily quickly said yes! 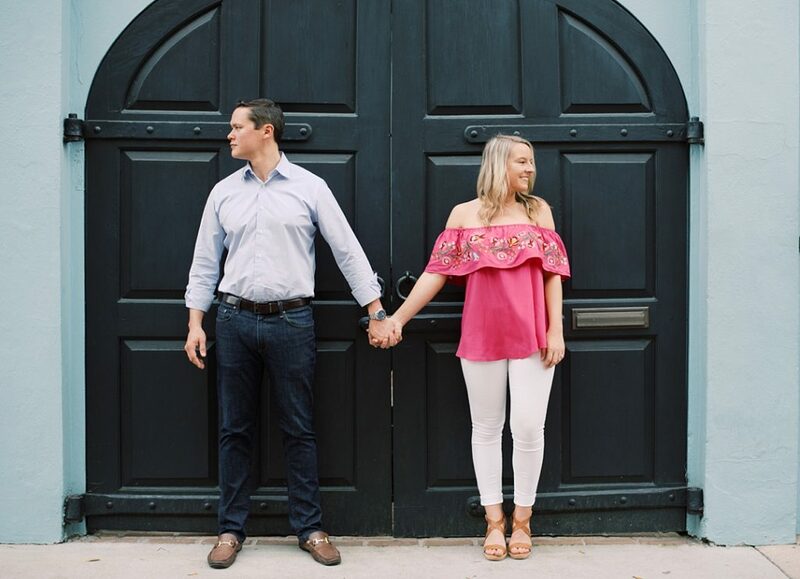 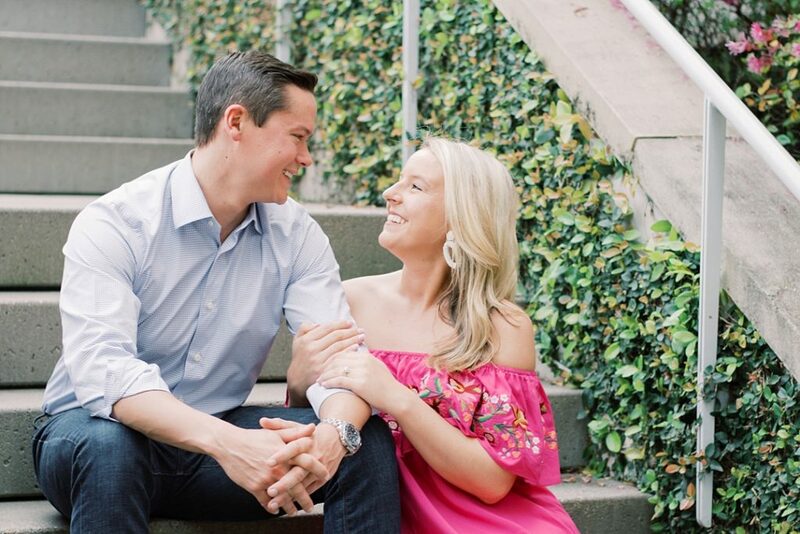 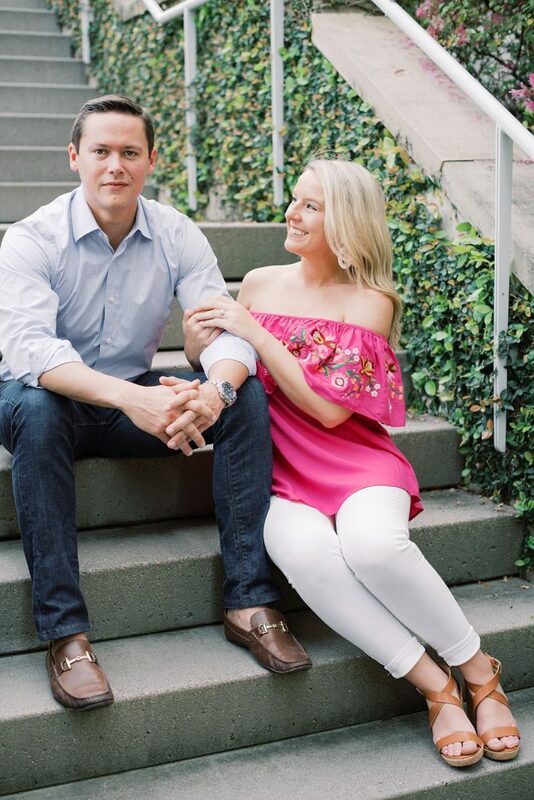 Fortunately, wedding planning hasn’t been too tricky thus far since they both knew that Charleston is the only perfect location to celebrate with family and friends. 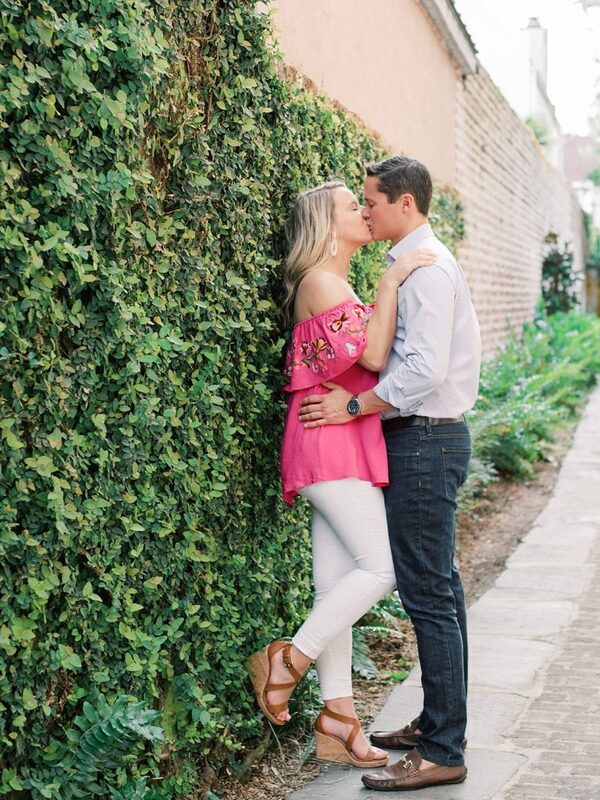 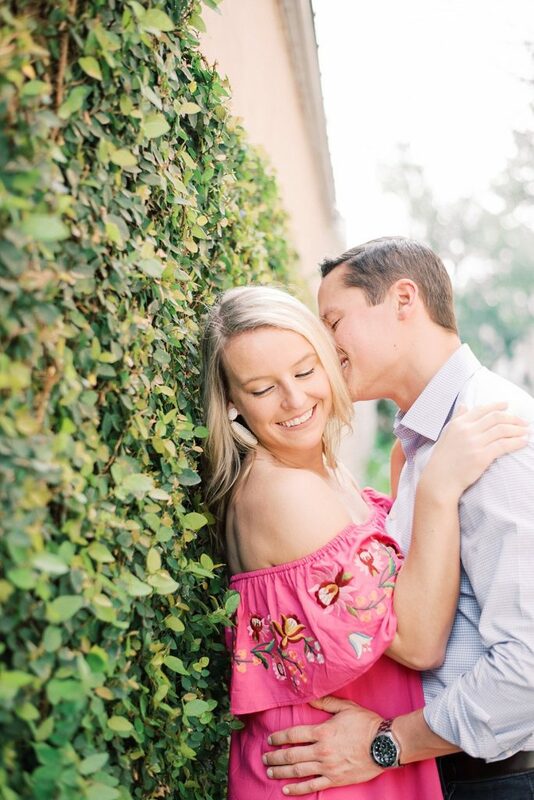 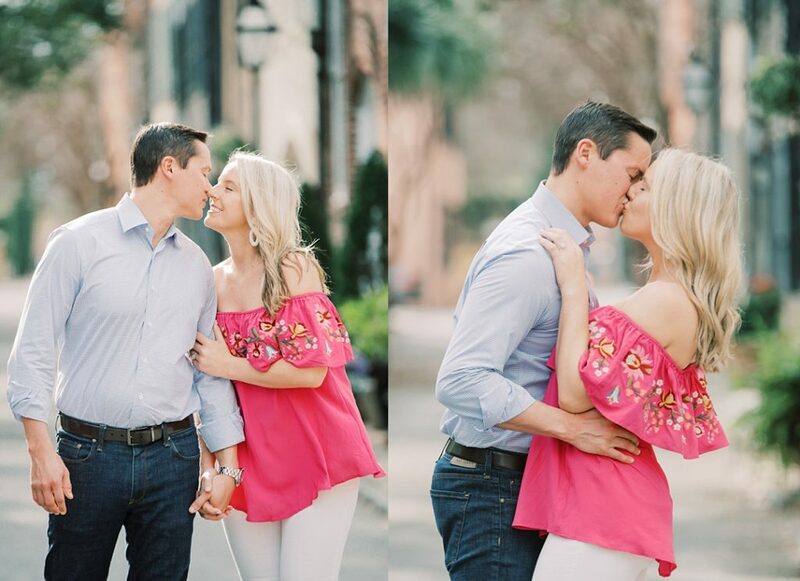 It goes without saying, I can’t wait for their Charleston wedding next spring! 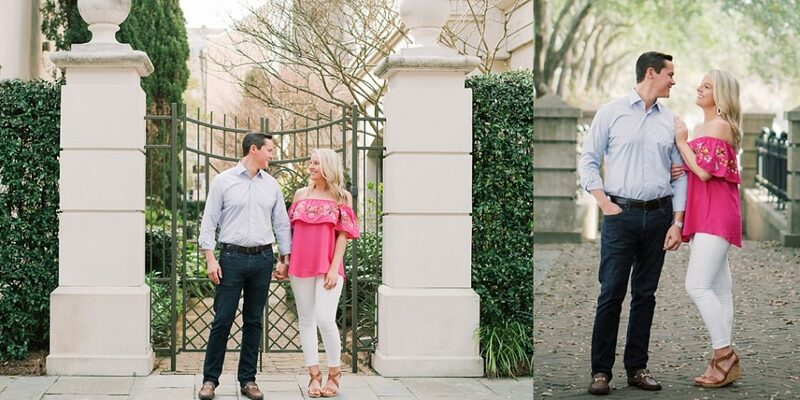 After an hour or so into their Charleston engagement session, Emily & Ben switched up their look for the second half of their session. 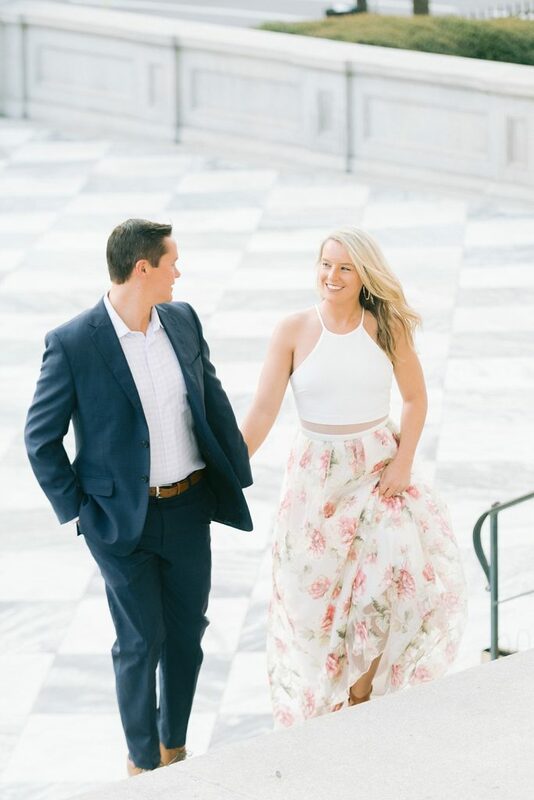 I always encourage people to bring two outfits if they’d like to capture their casual sides as well as a more formal vibe; there’s plenty of time for both during an engagement sesh! 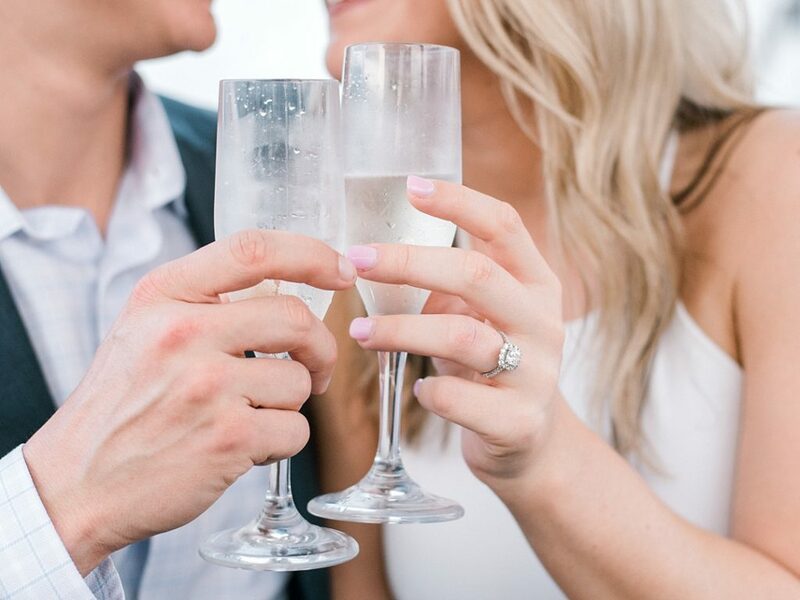 After a champagne toast at the Marketplace Pavilion rooftop bar and watching the sunset over the Ravenel Bridge, this Charleston engagement session was a wrap!